Did you see the great coverage of Walking Rugby on 04/03/19 edition of Granada Reports - check our Facebook page. Hopefully it might inspire a few more to get their boots on! Walking Rugby is a non contact version of the game based on Touch Rugby format where a tackle is a 2 handed touch below the waistline. Walking is at a pace to suit the individual participants. Tries are scored to determine the winners and healthy competition is encouraged. The game is ideal for older former players and new comers alike. Coaching in the rules is ongoing through game play. The sport is fun and can be as energetic as you want it to be. Trafford MV is looking to encourage more participants from the local area to join in. 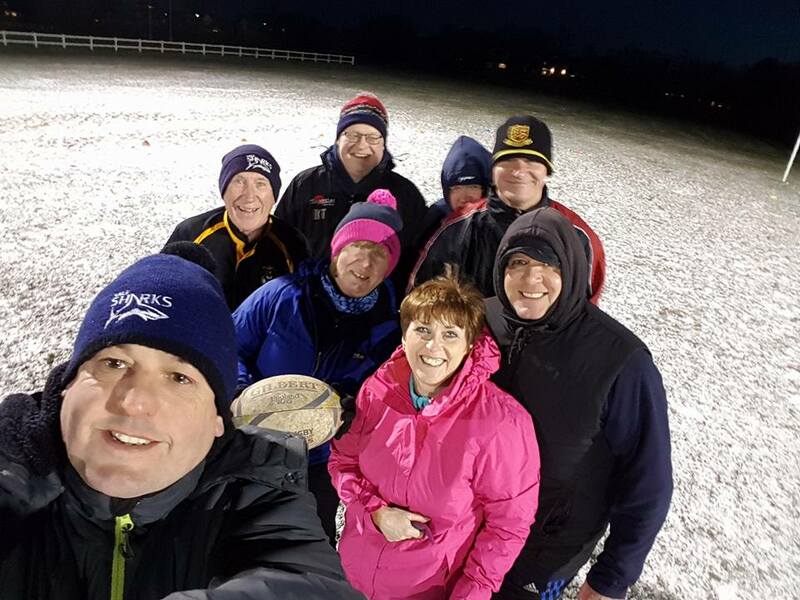 We have a good mix of men and women playing but our doors are open for new players to join us - experience of playing rugby is not essential as we will explain the game and learn as we play.